“Did you think about me?” a woman on the other end of the phone line asked Gary Fuller. The question came from the 27-year-old daughter he had never met. An ordained minister, Fuller is usually good with words but says her question had him babbling. In the summer of 1980, Fuller was a 20-year-old Northern California college student when he began dating a nurse’s aide at the convalescent home where he worked part time. The romance fizzled by the fall, about the same time his girlfriend learned she was pregnant. To further complicate matters, the woman soon became engaged to someone else. Back in school full time, Fuller complied when asked to sign away his paternal rights. “I didn’t know if the pregnancy went to term. I didn’t know the gender, anything,” Fuller told Yahoo News. 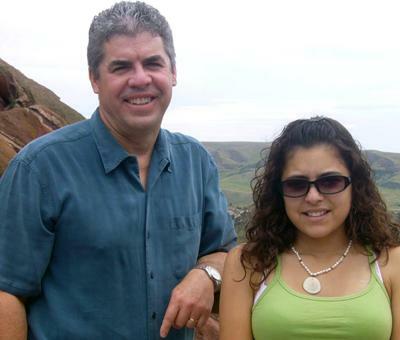 Not until February 2009, when his daughter, Solana Cortez, finally found the right Gary Fuller. Growing up, Cortez saw four stepfathers come and go. As for her biological father, her mother never spoke his name. “She would tell me it was in the past and to leave it there,” Cortez says. But Cortez, whose curiosity grew stronger while she was earning a college degree in genetics, pressed on, searching the web with very little information to go on. Then her mother finally caved to Cortez and turned over a Bible and a handwritten note Fuller had given her during their brief courtship. “I assumed that she had gotten rid of everything and anything that had to do with him,” Cortez says. Divine intervention? Perhaps. But the middle initial “D” on the note’s monogrammed stationery was pivotal. So does Fuller, who doesn’t mince words about his selfish days as a delinquent dad. “It was a profoundly broken and messed-up situation,” says Fuller, a seminary graduate who has worked as a spiritual leader with a national Christian organization for 26 years. He married and had three other kids. He rarely talked about his old girlfriend's pregnancy. Cortez, who turns 32 next month, has graciously put the past in the past. The two have spent the past four years making up for lost time through weekly phone dates. Cortez has met her new brothers and sister and gone fishing with Fuller. The reunion has been a reality check in other ways, too. Fuller now knows he is a carrier of a mutated gene. Cortez has battled cystic fibrosis, a hereditary chronic disease that affects the lungs and digestive system, since she was 6 months old. Her doctors had predicted death many times through the years. But four months ago, Cortez underwent a double-lung transplant and is on her way to making a full recovery. “It’s pretty cool not having to worry about how many years she may or may not have,” Fuller says. 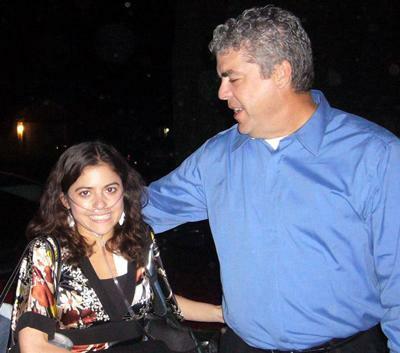 Her promising prognosis and their budding father-daughter relationship prompted them to launch a website, solana-story.com, where they plan to provide information about cystic fibrosis and inspiration for parents and children seeking biological matches. This Father’s Day, Fuller is again thankful Cortez was brave enough to make the first move.